Showcase was founded by the Design and Crafts Council of Ireland 42 years ago. Today, it is among The Trend Curve's favorite trade fairs. Why? Because most of the products found at this annual Dublin-based event are designed and made by Irish crafters, so the quality is high. Even better, these are products you can't find at other shows, making Showcase unique. A fashion show highlighting some of the best fashion apparel, jewelry and homewares, MADE/Slow was presented six times times during the four days of Showcase. Take a look below and you'll see that the weaves, combinations and presentation were innovative and the materials, textures and designs stunning. 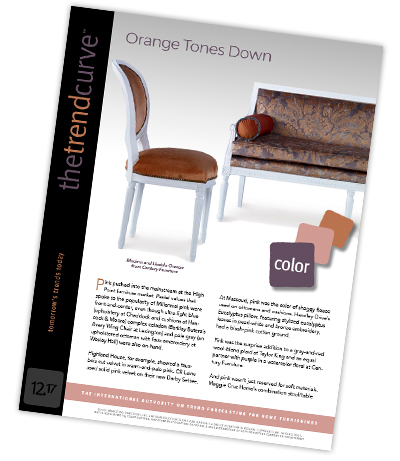 To learn about trends at Showcase, read the February issue of The Trend Curve. This issue also covers color, material and style trends from Heimtextil, Maison & Objet, Christmasworld, Atlanta Rugs and Las Vegas Market.